Opinion: Will BJP be able to capitalise on Jonathone Sangma's death in Meghalaya? On February 18 this year, the candidate from Williamnagar Constituency of Garo Hills Meghalaya, Jonathone N Sangma and three of his supporters were killed in an IED blast allegedly triggered by the Garo National Liberation Army (GNLA), a militant outfit active in Garo Hills. The GNLA, led by its elusive commander-in-chief Sohan D Shira, has been unleashing a reign of terror in areas where it dominates which are mainly East and South Garo Hills. Jonathone and some of his supporters had gone to Sawilgre village under Samanda block for an election campaign that Sunday afternoon. He was called there by the villagers who said they wanted to discuss certain issues with him. But perhaps the villagers were used as decoys by the GNLA. The villagers never turned up at that village. Only the chairs and tables were kept there. After waiting for a while, Jonathone decided to return to Williamnagar. Just then the IED blast was triggered and Jonathone and three others died on the spot. They included a young volunteer, a security guard and one more supporter. The other three injured persons were taken to a Williamnagar Civil Hospital but one more had succumbed to his injuries recently. And then, barely a week after the dreadful incident, on February 24, Sohan D Shira the GNLA supremo who had repeatedly given the slip to the Meghalaya Police, including its Special Force, was shot dead. What raises doubts about this killing is that there were no casualties on the police side or on the side of the rebel outfit. There were no signs of an encounter. It looked like a clean, well-planned operation. After Jonathone’s death, several troubling questions were raised. Posters had been put up in the constituency, asking people not to vote for him. The posters had pictures of blood and bullets, and warned the villagers of serious consequences if they vote for him. But this is not the first time such posters were out up. In 2013, too, Jonathone faced similar threats. He lodged an FIR even then but the case has progressed at snail pace and is lying unsolved at the lower courts. Since Chief Minister Mukul Sangma has made peace, security and political stability his election plank, Jonathone’s political assassination have given a lie to that claim. And then the equally sudden elimination of Sohan D Shira who has evaded arrest for a very long time has raised doubts about the whole chain of events. Following Jonathone’s killing, political parties, especially the National People’s Party, the main rival of the ruling Congress in Garo Hills, had demanded an independent probe by the National Investigating Agency (NIA). Was it the fear that the Agency might get to the root of the militant-politician nexus, the reason why Sohan Shira was eliminated because with his death all the well-kept secrets about who his handlers were have died with him. Meanwhile, it is learned that the Deputy Commander of the dreaded ULFA (Independent) based in Myanmar, Drishti Rajkhowa will be taking Sohan Shira’s place soon. That should spell more trouble for the land of clouds unless swift action is taken by the next government to be formed post-March 3, next. Meanwhile, on the election front, Jonathone Sangma’s death could make things a bit more difficult for the Congress Party to return to power in Meghalaya. The Party is now seen as being capable of killing a dreaded militant if it wants to and to allow things to simmer if it chooses to. The NPP and BJP (which hitherto had very little leeway in Garo Hills) might both be able to capitalise from this new turn of events. At last, campaigning for the February 27 elections ended on Saturday 24 last. In Garo Hills, the mood was sombre following the death of Sohan Shira. In the rest of the state, people heaved a sigh of relief, especially students preparing for their respective Board examinations. It has been a raucous election in Meghalaya with political parties and candidate using music to score political points above their rivals. For music composers and singers this has been a very lucrative season. The BJP commissioned the legendary singer, 70-year-old Lou Majaw, to compose their theme song. Other parties just took off from there. On Saturday there were huge motor rallies which brought traffic in Shillong and its suburbs to a standstill. The amount spent on these rallies and on feeding the candidates daily for a month, and if supporters are to be believed, then even money was actively distributed by candidates on Saturday to ensure they remain loyal, must far exceed the upper limit set by the ECI. But who cares? Most sitting MLAs use the MLA (Local Area Development Scheme) funds of Rs 2 crore per year to meet their private election expenses. The loopholes are yet to be plugged to prevent siphoning of public money through the Scheme. And so we are all good! With a heavy sense of despair and futility even as the much touted “Change” which every political party promises appear like a mirage, the people of Meghalaya goes to vote tomorrow. A total of 370 candidates are in the fray of which 32 are women. The Congress has fielded candidates in 59 seats (election in Williamnagar is countermanded due to the death of Jonathone Sangma, the NCP candidate); the BJP in 47, NPP in 52 seats and the regional parties between them are contesting 42 seats. Most of the faces are tried and tested; hence the pessimism! This time the prediction is that Meghalaya is headed for a hung assembly with no party getting the absolute majority. The fight really is between the NPP and Congress. That Meghalaya’s next government will be a coalition of parties, goes without saying and whether this will result in another period of political chaos is also a moot point. 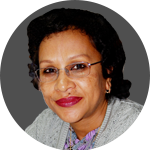 Patricia Mukhim is Editor, The Shillong Times and a columnist with several national news dailies and portals. She has been an intrepid political commentator for over two decades.